Following the example of the Maltese organizations, all the civic & patient organizations supporting the initiative are invited to call their national MEPs to join the Interest Group on Patients’ Rights & Cross-Border Healthcare. Please, find your MEPs here and use this letter to be co-signed together with Active Citizenship Network. Record a video (max 30’’) with your smartphone, in English in your language, in which you agree with the key issues that the Interest Group will address: among others, to officially recognize the European Patients’ Rights Day, to establish the European Year of Patients' Rights in 2017, to support the implementation of the Directive 2011/24/EU on patients' rights in cross-border healthcare. Explain why the European Patients’ Rights Day should be instituzionalized for you. Please, the only rule is: conclude your video by saying “Make it official!”. Make the European Parliament acknowledge the European Patients' Rights Day in order to officially recognize and institutionalize it. Actively support the celebrations of the European Patients’ Rights Day and collaborate with civic and patient associations at the national and European level. Strengthen the protection of patients’ rights in the European legislation, starting from the adoption of the European Charter of Patients' Rights, 14 patients' rights that together aim to guarantee a “high level of human health protection” (Article 35 of the Charter of fundamental rights of the European Union) and to assure the high quality of services provided by the various national health services in Europe. Promote initiatives that encourage and ensure among EU countries the respect of the primary and secondary European legislation focused on the patients’ safety and the protection of their rights. It could be done with the involvement of civic and patient association, starting from the Directive 2011/24/EU on patients' rights in cross-border healthcare (which is included in the title for the first time the patients’ rights) and the most recent “Draft Report on safer healthcare in Europe: improving patient safety and fighting antimicrobial resistance (2014/2207(INI))", approved unanimously on 16th April 2015 by the Committee on the Environment, Public Health and Food Safety, and then in plenary by the European Parliament on May 19th 2015. 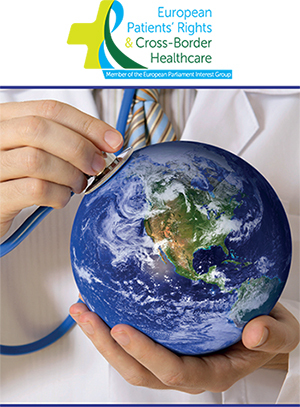 Establish the European Year of Patients' Rights during its mandate. Download the letter sent by the co-founders of the Interest Group David Borrelli and Gianni Pittella to their colleagues.